Gourmet-quality chocolate that shows off noticeably deep chocolatey aromas and darker melted flavors without any bitterness. Contains no sweeteners, diabetic-friendly; add your own favorite sweeteners. 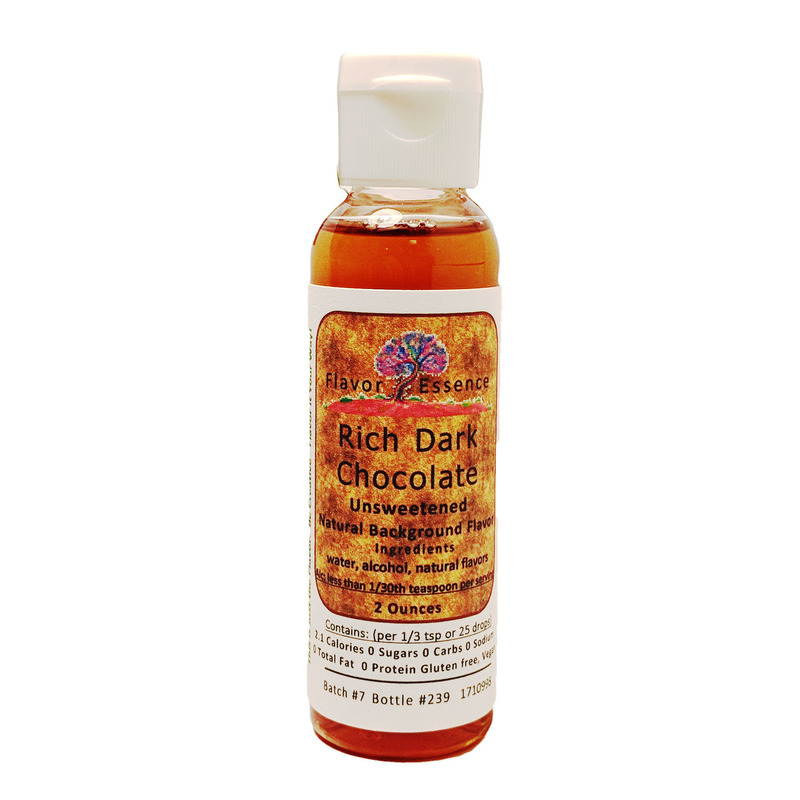 The Rich Dark Chocolate is a perfect background flavoring when you want to add a clean-tasting darker chocolate background dimension to your beverages or your creative food recipes. This is the "big brother" to our other Chocolate flavor. Like the other Flavor Essence flavorings, this is designed to add chocolate pleasure, yet it is styled to play a well-behaved supportive role, that doesn't dominate over the primary flavors of your beverages and food recipes. Flavor Essence Rich Dark Chocolate is made as cleanly and simply as possible, (vegan) with natural flavor, water and alcohol. Unlike extracts, the alcohol is minimized to a very nominal level of 1/30th of a teaspoon per serving. 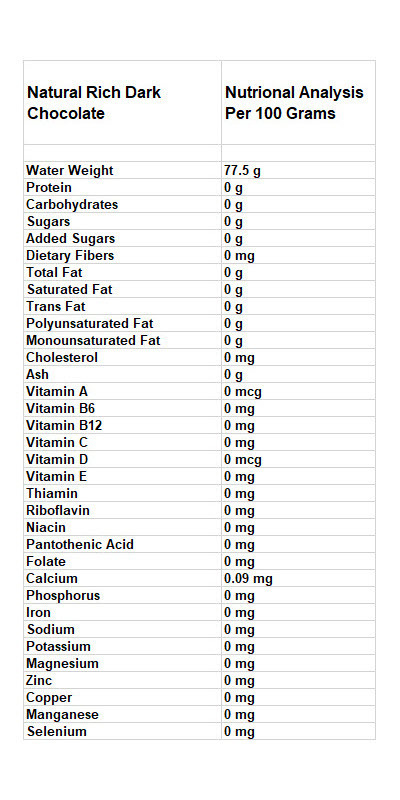 It is also without any sweeteners, sodium or fats, no calories, no added coloring and gluten free. (If you do choose to add your own sweeteners or the recipe your are using has sugars within it, the chocolate flavoring will be amplified. Each bottle contains 2 ounces and will flavor 30+ beverages; and in batters and baking projects, one bottle will flavor approximately a dozen batches. The 2 ounce bottles are squeezable and portion-controllable. They are portable for use in beverages, and simple to measure/use in baking and cooking projects.